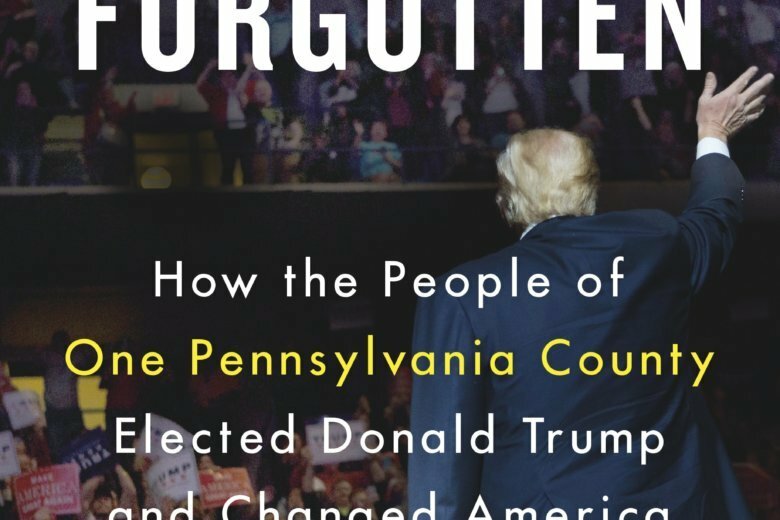 “The Forgotten: How the People of One Pennsylvania County Elected Donald Trump and Changed America” (Little, Brown and Co.), by Ben Bradlee Jr. There have been many books, studies and feature stories on the rise of the alienated white voters who came out in large numbers to elect President Donald Trump in 2016. But letting these voters speak without judgment while also questioning their views about race remains a challenge for reporters. “The Forgotten: How the People of One Pennsylvania County Elected Donald Trump and Changed America” by Ben Bradlee Jr. trots this delicate dance by examining one key swing county in Pennsylvania — a state Trump surprisingly won. Using quick but intricate vignettes, Bradlee allows a hair salon owner, a Vietnam War veteran, a retired detective, a flashy real estate investor, even a white nationalist from Luzerne County talk through their evolution to Trump amid fear, anger, anxiety and hopeless. Almost all are former Democrats who came from union families connected to the shuttered coal mines or now-closed factories. Bradlee writes that he chose the northeastern Pennsylvania county that sits between Philadelphia and New York City because it was once a reliable Democratic stronghold that twice went for Barack Obama. In 2016, Trump won the county by nearly 20 percentage points. Trump’s reference to his supporters as the “forgotten people” wasn’t an homage to George I. Sanchez’s 1940 book, “Forgotten People,” about poor Hispanics in New Mexico. It was specifically an allusion to whites living to economically struggling communities — like Luzerne County — that both parties appeared to ignore, Bradlee writes. Some of those unsavory people described by those interviewed, Bradlee writes, turned out to be Hispanic immigrants who transformed Hazleton, the county’s second largest city, to a minority-majority city almost overnight. Bradlee has shown sensitivity in writing about race in previous work. For example, in his 2013 biography of Ted Williams, “The Kid,” Bradlee detailed how the late Boston Red Sox slugger shunned his Mexican-American family and concealed his ethnic background for decades. With “The Forgotten,” Bradlee adds to the body of emerging studies about white Trump voters that is sensitive but honest amid a demographically changing, divided nation.